Kate Kiesler graduated from the Rhode Island School of Design with a degree in Illustration. 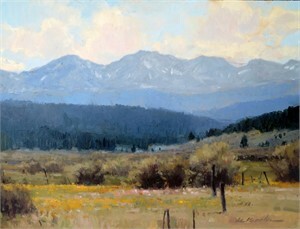 She began her career working as a studio assistant to printmaker Barry Moser. 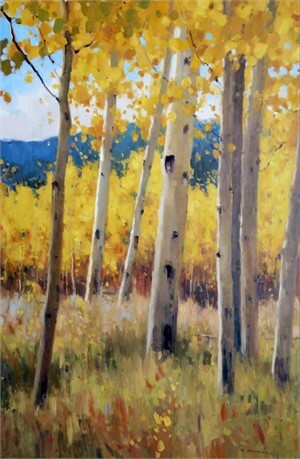 Kate subsequently illustrated over twenty children's books before pursuing a full time painting career and has exhibited at many venues including the Colorado Governor's Invitational. 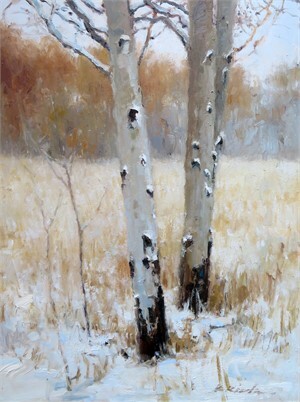 "My paintings are about the natural world around me. I am taken by the shapes and light found there. Details are unimportant. 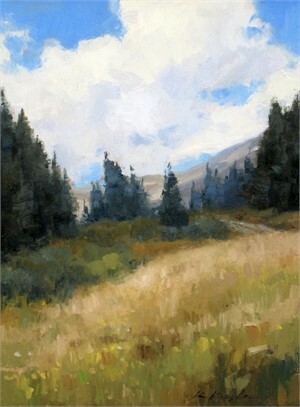 I am much more interested in conveying an interpretation through brushwork and the juxtaposition of value and color. My background in illustration focused on detail and storytelling, so my paintings free me to play a little more to create spontaneously without specific instruction and with a certain amount of abandon. My biggest challenge is to allow my pieces to evolve on their own without my thought processes interrupting the flow of things. 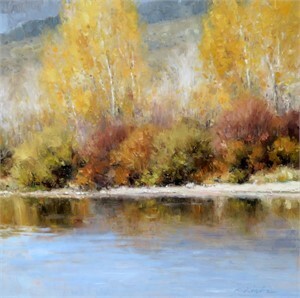 My best work comes directly from freeing my mind and my hand and moving from shape to shape intuitively." Biography Kate Kiesler graduated from the Rhode Island School of Design with a degree in Illustration. 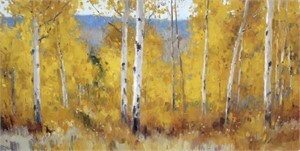 She began her career working as a studio assistant to printmaker Barry Moser. 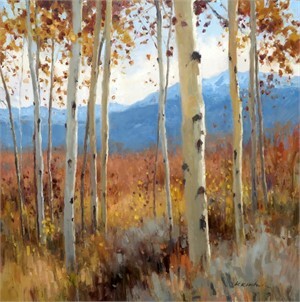 Kate subsequently illustrated over twenty children's books before pursuing a full time painting career and has exhibited at many venues including the Colorado Governor's Invitational. 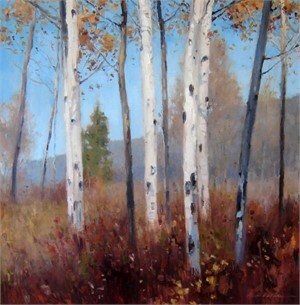 From the Artist: "My paintings are about the natural world around me. I am taken by the shapes and light found there. Details are unimportant. 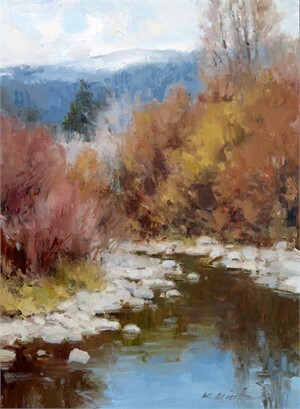 I am much more interested in conveying an interpretation through brushwork and the juxtaposition of value and color. My background in illustration focused on detail and storytelling, so my paintings free me to play a little more to create spontaneously without specific instruction and with a certain amount of abandon. My biggest challenge is to allow my pieces to evolve on their own without my thought processes interrupting the flow of things. My best work comes directly from freeing my mind and my hand and moving from shape to shape intuitively."